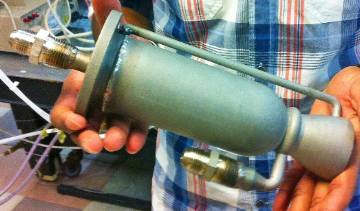 Engineering undergrads partner with NASA to answer: Why build a rocket engine when you can print one? 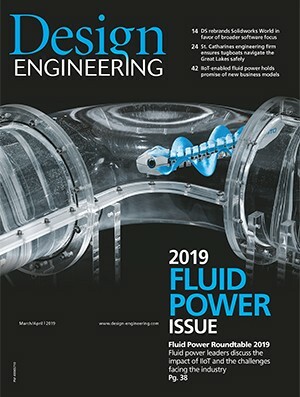 A group of engineering students at the University of California, San Diego, announced the successful hot test of a 3D-printed rocket engine at the Friends of Amateur Rocketry testing site in the Mojave Desert. With funding from NASA’s Marshall Space Flight Center, members of the UC San Diego chapter of Students for the Exploration and Development of Space designed the liquid fueled rocket motor, aptly named the Tri D, themselves. The 10-pound engine was then printed out of a cobalt and chromium alloy by Illinois-based GPI Prototype and Manufacturing Services. According to the group, the Tri D is designed to power the third stage of a rocket carrying several NanoSat-style satellites with a mass of less than a few pounds each. Measuring approximately 7-inches long, the small engine runs on kerosene and liquid oxygen and can generate 200 lbs of thrust. Better still, it cost only $6,800 to manufacture. According the students’ advisor, UC San Diego aerospace engineering professor Forman Williams, a 3D printed metal rocket engine would dramatically cut costs for launches. Funding aside, NASA is clearly thinking along the same lines. The space agency successfully hot tested a 3D printed rocket engine injector at its Glenn Research Center this past July.